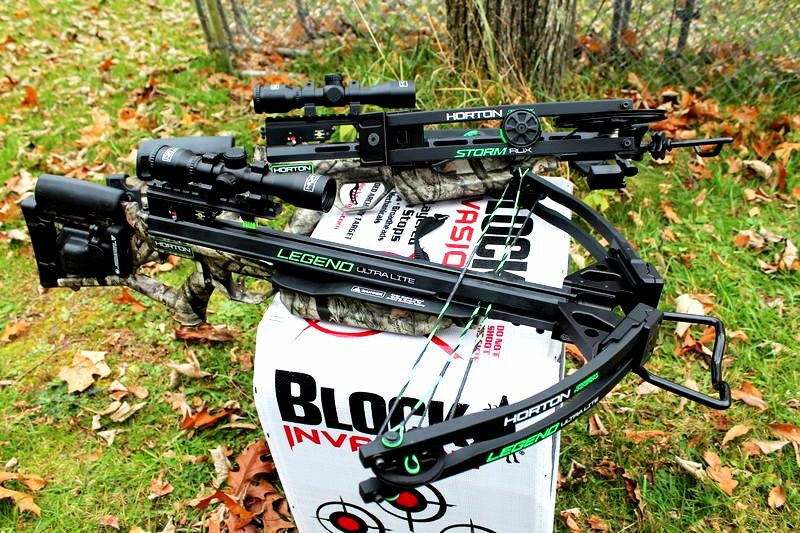 If nighttime hunting is one of your favorite outdoor activity, then getting a night vision scope for your crossbow is a definite must have. However, deciding which one to buy is almost never an easy decision considering the selection offered on the market. 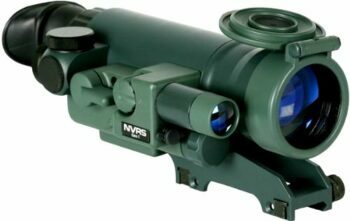 Read on to learn which one may be the best night vision crossbow scope for your needs. 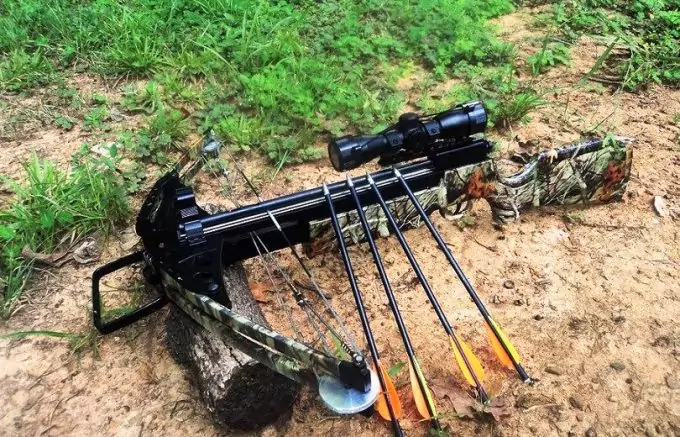 If you’re a beginner, all crossbow scopes could look more or less the same to you. 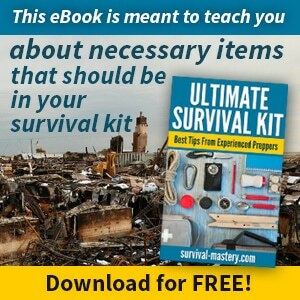 However, each product has its strength and weaknesses and it might come in handy if you know a few things about your favorite products before doing the actual purchase. 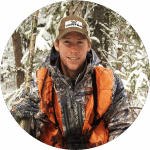 In order to make an informed decision about your product, you should take the time to learn about the basic features of all scopes and see what features may help you improve your hunting game. We hope that the listed features and reviews will help you out with the buying process and make things much easier. 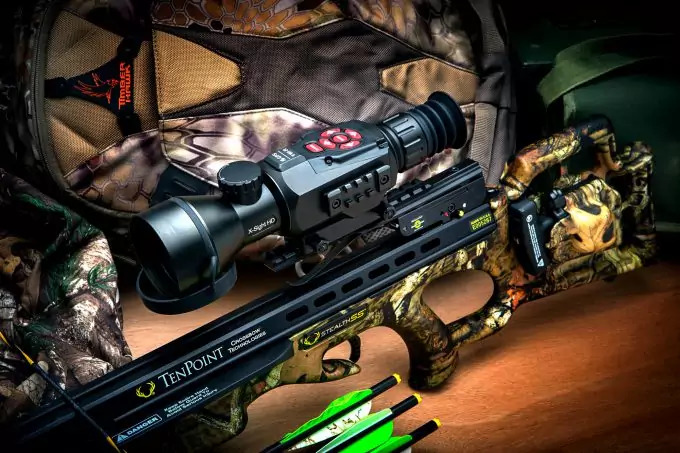 In order to make things easier for you, we’ve taken the time to go over the features we believe matter the most when it comes to buying a crossbow night vision scope. Don’t forget that there are many other features you may find as important and they largely depend on your personal preferences. The first thing you’ll want to pay attention to when buying a night vision scope is the magnification – the zooming – and the lens of the device. In order to grasp the whole concept better, look at the numbers that go in the description of each device. So let’s say, if it says, 3×42 mm, then that means two things. Firstly, that scope has a 3x magnification power and the image you’re trying to see will appear as three times as closer than it actually is. The second part of the number – 42 in this case – refers to the diameter of the objective lens shown in millimeters. Having a larger number has both its good and bad sides. Larger objectives give out sharper images because they allow more light to go inside but they do weigh more and make scopes bulkier. There are different types of scopes on the market and even though there are many ways of fitting them into categories, in this case, the reticle type is used as the main criteria. The type of reticle, also known as crosshairs, may vary from product to product. If precision shooting worries you, then this is a feature you’d want to pay most attention to. Some modern day scopes may be completely digital or feature several color options. Others may have basic red on green types of reticles and there are scopes that feature no crosshairs at all. 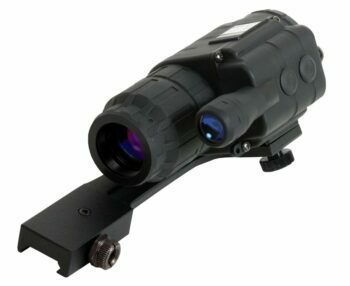 The IR – infrared – illuminator may turn out to be a handy feature on most night vision devices. The illuminator works by emitting infrared light that’s invisible to the human eye but visible to the device. Thus, scopes that have the IR illuminator option should allow you to get better quality night images. Since you do have to carry the actual device with you at all times, the dimensions and the overall weight of the scope are a pretty important aspect for most buyers. As far as scopes are concerned, bulkier and heavier scopes may give out better quality images due to the larger objective lens that receives more light. However, if you’re a beginner and don’t worry that much about getting a high resolution picture, then a lighter product that’s easy to be carried around may work just as well for you. The weather resistance feature is important for those who’d like to use their devices no matter the season or the weather conditions outside. Don’t forget that using your night vision scope in unsuitable conditions may cause your device to malfunction or stop working completely. There are several options available when it comes to the weather resistance. 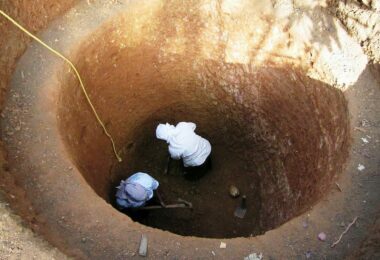 The devices that don’t have any weatherproofing can’t really be used in any other conditions except dry. If rain or moisture get inside your scope, your vision will very likely become fogged and your device may break down after a while. Weather resistant devices include some sort of technology that stops moisture from getting inside. 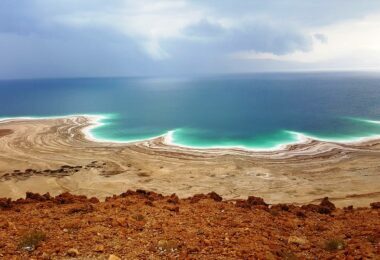 However, only the waterproof devices can be used in rainy conditions. A handy feature on optic devices is a thing called fog proof, which prevents fogging on the inside of the lenses. Some manufacturers include additional accessories or gadgets alongside the basic product that should make using or carrying the device a bit easier. Such items include things like protective cases, cleaning kits, items that allow for easier mounting, rain guards and so on. We hope that by now, you’ve understood basic features better and got to know which ones matter to you the most. Let’s move on to the part where actual products are reviewed for an even better insight into night vision scopes. Here’s a more detailed overview of some of the most popular products on the market. We like what the Firefield NVRS Night Vision Riflescope has to offer. The 3x magnification is more than decent and the 42 mm objective lenses should allow for a clear picture even when shooting long range targets. 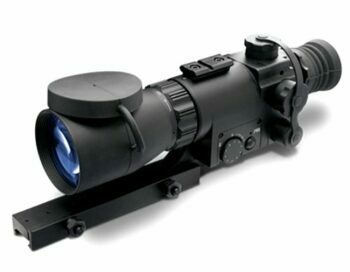 Even though the outer body is titanium, the scope can be still considered light by some users, while others may find it to be too heavy. At the same time, the titanium body allows for some sort of protection against falls. The dimensions of the scope should allow for easy transport and storage. The scope has a built in IR illuminator and when turned on, it should allow for clearer images with more details. As far as the reticle is concerned, it features a red duplex reticle – a great thing is that you can adjust the brightness of it by a knob conveniently placed on the side of the scope. The scope operates on batteries that should be fast and easy to replace once used. However, it may be for the best to carry a few extra sets on longer hunts as battery life may not hold more than a few hours at a time. As far as the weather resistance is concerned, there’s no clear indication whether the titanium body makes this device qualify as having a full on waterproof protection, so handling with care is advised. The scope comes with a protective case and a cleaning cloth and considering the features it has, it comes with a more than a reasonable price. Related: If short battery life bothers you, then getting a pack of the Sofirn 8 Rechargeable Batteries should allow for a better experience. The 8 batteries come already charged and ready to be used. One of the best parts is that they can be recharged no matter whether they’re half empty or not, as charging has no memory effect on the battery life. We like what the Sightmark Photon XT Night Vision Riflescope has to offer. The objective lens is large enough to allow for high quality images even in complete darkness while at the same time, they don’t largely affect the overall weight of the scope. Even though it features a 42 mm lens, the product is supposedly 30% lighter than the rest of the products offered on the market. A great aspect about it is that it can be used both day and night, so users interested in getting the best out of both worlds may like to get a bargain like this. However, some have noted that the quality of the day images is not as good as the night ones. One of the best parts about is it the digital technology implemented in it – the built in LED IR illuminator, as well as the digital reticle option. With it, you could easily choose reticle color and style depending on what you’re going to be hunting. The scope is intended mostly for precision shooting at a medium range. Another feature many would be interested in hearing about is the video output feature that allows you to record everything you see – but you’ll need to buy additional accessories to use it. The scope operates on 2 AA batteries that aren’t included in the box, though the product itself comes with a carrying case, lens cloth, and a video cable. You should be able to get pretty decent battery life out of it. Considering everything it has to offer, it’s a great product for a reasonable price. Related: If you’d like to get more out of your night, then consider getting an Evolva Infrared Night Vision Flashlight that will instantly add yards to your field of vision. Even though you won’t be able to notice any actual light yourself, the small and compact flashlight should improve your hunting experience. The Yukon NVRS Titanium Night Vision Rifle Scope could work well if you’re looking to do some short and medium range shooting. It comes with a sleek design that may bother some users as they’ll find it slippery though all of the buttons and controls are very easy to be found. The lenses are 42 mm and you’d be able to zoom in 1.5 times. Even though the lenses are bigger, the scope comes with a more or less, standard weight. 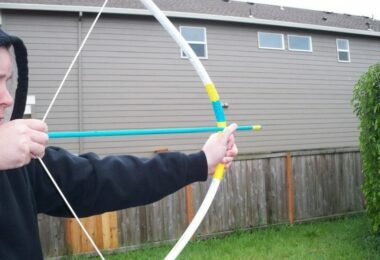 However, do note that novice hunters may find it to be on the heavy side. The vision should be of standard quality most of the time even in complete darkness. To get the maximum out of the device, you could turn on the PULSE IR illuminator featured with the scope. The reticle is a standard red on green one and can be further adjusted. On average, you should be able to get at least 8-10 hours by using standard 2AA batteries, which makes for a pretty long battery life. The additional accessories and features make this product stand out among the rest. Many users will probably find the digital camera feature appealing though you could also get a laser point, an IR flashlight and doubler lens for an additional price. You’ll also get a carry case. 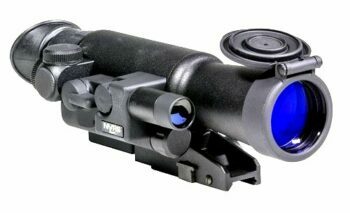 The manufacturer includes a limited lifetime warranty with this scope. Taking the price into consideration, it could prove to be as a good enough scope. Related: The Zeasun 4 Pack Rechargeable Lithium Batteries could be a worthy purchase if you’re looking to get a set of batteries and a battery charger in one. The batteries can work well enough with different types of devices and can be recharged up to 500 times. The charger comes with a flashlight that indicates whenever charging is complete and is small enough to be easily transported around. The ATN MK350 Guardian Night Vision Riflescope may work good enough for everyone looking for a more basic scope. 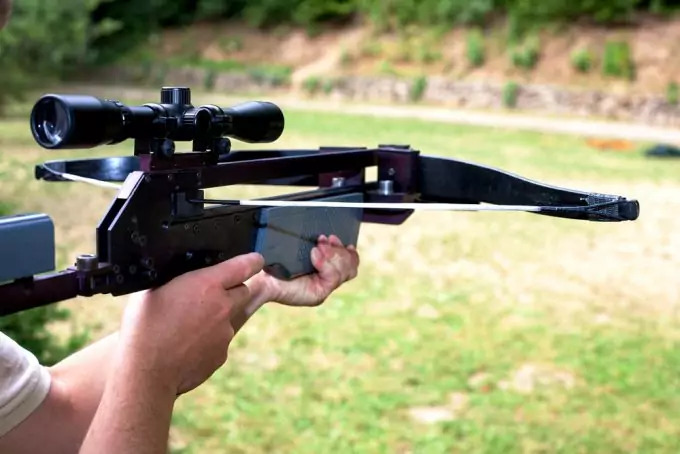 However, its weight and size are one of its biggest disadvantages – coming at 2.8 pounds, it’s very likely going to be too heavy for most crossbow users. Apart from that, a nice addition to it is the long range IR illuminator, that can be attached or detached, according to need. 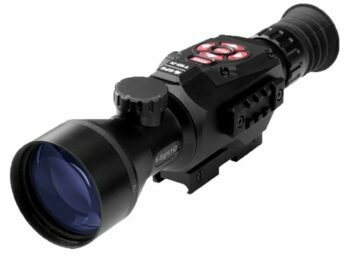 The scope features a red on green reticle system that comes with the ability to adjust the brightness. The optics of the scope are described as multi coated generation 1, that should allow the user to see a more basic image, though nothing HQ should be expected. You’d be able to zoom in 2.5x. The device features a titanium mounting system that most users have praised for allowing a sturdy mount. Another feature you’re very likely to appreciate is the weather resistant feature – the device is water and fog resistant. On top of that, it does come with a two year warranty, an option many could find useful as devices like this are often prone to damage. The scope works well on two lithium batteries that are included with the set. Also, you’ll get a storage case and a carrying case. If you aren’t bothered by the weight, you might be able to get a good worth for your money. Related: The Streamlight Lithium Batteries are a great choice if you wouldn’t like to worry about short battery life – they’re durable and have a shelf life of almost 10 years! A great part about the product is that it comes in packs with a different count, so you could easily pick the one that works the best for you. The Sightmark Ghost Hunter Riflescope could potentially be a great buy for anyone interested in getting the maximum out of a single product – since it doubles as a monocular as well, you’d be able to save backpack space and money. 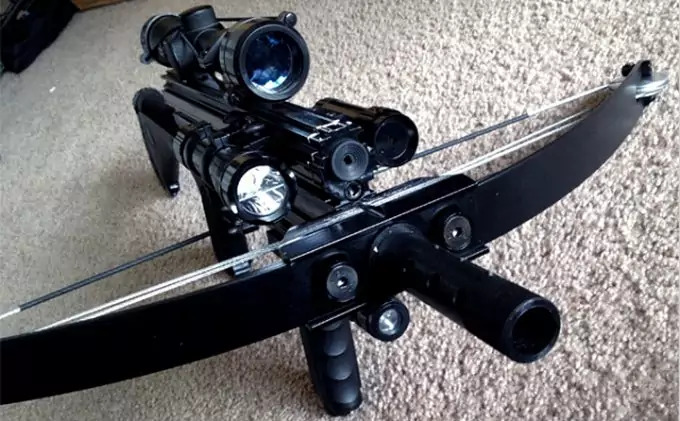 Whenever you’d like to use it as a crossbow scope, you’d just have to attach the weapons mount. The image should be of decent quality considering the 24 mm lens and the 2x magnification. However, for an even better experience, you should use the built in IR illuminator when in total darkness. 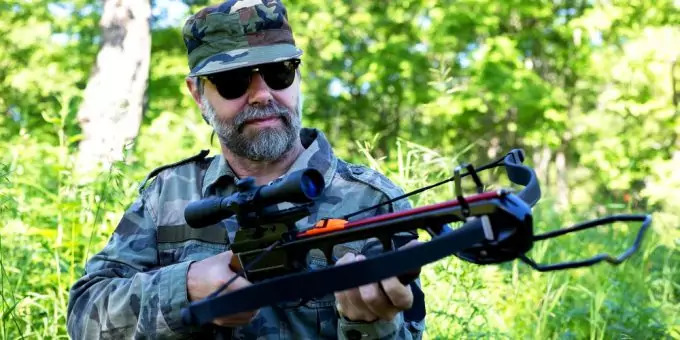 Another great aspect is its size and weight – weighing just half a pound and a bit more than five inches, it’s very likely one of the lightest and smallest scopes on the market, making it almost ideal for a crossbow. However, one of the biggest downsides is that there’s no reticle system which could seriously affect your aiming – you’d be able to see through it just as you’d see through a monocular. Aside from that, the battery life is pretty decent and could offer hours of usage time even with the IR turned on. The scope has an included lifetime warranty included and another helpful feature is that the scope turns itself off automatically whenever exposed to bright lighting, which helps with its durability. Bearing in mind the versatility of the scope, as well as its affordable price, it could be more than a good purchase if the missing reticle system doesn’t bother you. Related: The Rayovac Virtually Indestructible Flashlight is a practical heavy duty addition to any camping gear! As the name suggests, it’s completely shatterproof and it features an impact resisting internal system. The flashlight should work well for up to 30-35 hours at a time and apart nighttime trips in nature or long walks, you could use it in emergent situations as well. We like how the ATN X-Sight II Smart Riflescope completely changes the way scopes work – apart from the 1080 full HD images, the device is completely digitalized! That means, apart from digital imaging in full color, you can use the GPS system, stream videos and pictures with Wi-Fi and control the device via the app. There’s a feature called ATN RAV that automatically starts recording videos whenever you’re aiming, so you can take great hunting pictures. Later on, you could stream everything on a TV or smartphone. 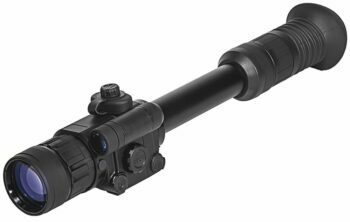 This particular scope can be used both as a day and night scope – adjusting it takes less than a second. The zoom is more than decent with 5-20x magnification. 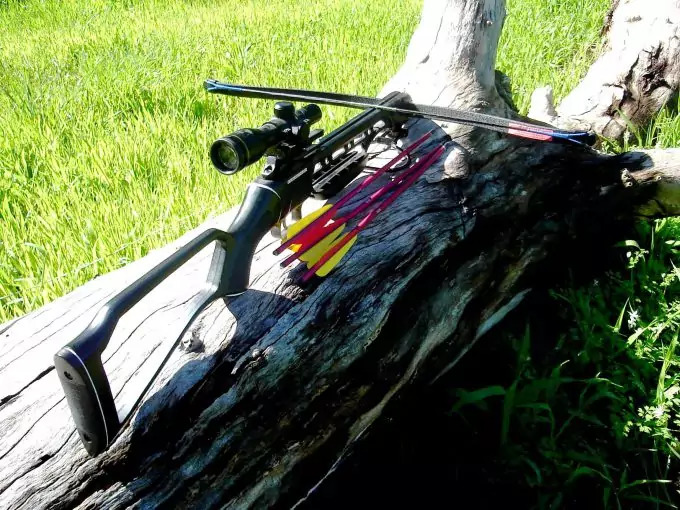 The reticle system is one of the best out there, with you being able to choose from 7 different reticles, with a specialized crossbow reticle added. You can also optimize your reticles further on for color, shape, and size. On top of that, the Smart Rangefinder makes finding your target extremely easy and simple, even for the ultimate beginners. On the other side, considering how many features are available, the battery may drain a bit faster than it’d do on a more basic model. This scope requires 4 AA batteries – double than what is normally considered standard though you should be fine as long as you bring extra batteries. Another thing to keep in mind for a maximum experience is the fact that you should do regular updates to the system, as new features get available all the time. After buying, you should request the warranty yourself. All in all, this might as well be one of the best products on the market and even though it’s a bit pricier, it may be a very good investment. Related: The Duracell Quantum AA Batteries might be an excellent purchase not only when it comes to powering scopes but other camping gear and various appliances around the house as well. They’re durable and the manufacturer guarantees that they’ll be working even after 10 years in storage. You can order them in sets of 24 or 36 as you see fit. It’s our hope that by now, you’ve understood basic scope features and options more as to make a better decision regarding your next purchase. As long as you do a good estimate of your needs, you should be able to choose well and get the maximum out of your device. Are there any other night vision crossbow scopes we might have accidentally missed out of our review? Feel free to share with us in the comments and we’ll be more than happy to hear about it!